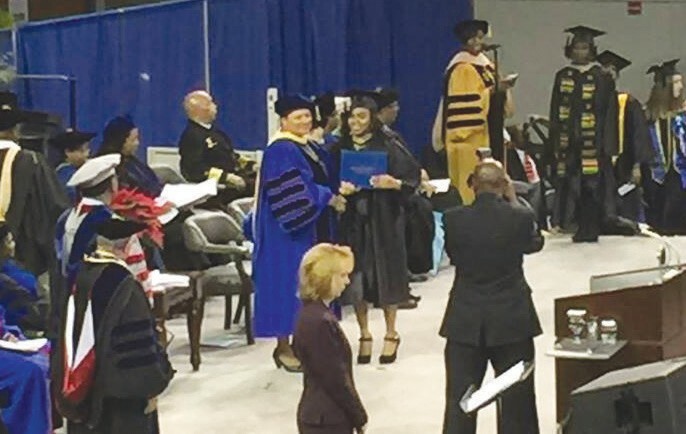 The 185 th Commencement Ceremony of Savannah State University (SSU)was held Saturday, December 13,2014. During the ceremony, approximately 250 students received bachelor’s and master’s degrees. The commencement speaker was alumna Alissa Johnson, Ph.D ’96, the deputy chief information officer for the Executive Office of the President of the United States. She oversees White House information technology and interfaces with multiple staff and private contractors to create a stable and flexible technology infrastructure. Prior to working at the White House, she was a cryptologic engineer with the US Department of Defense and a deputy chief technology officer with Lockheed Martin. Johnson was recently named to the Top Forty Over 40 and the 2014 Federal 100.